Powder Coatings were first introduced to the market in the mid 1950’s. The first finishes were thermoplastic, which were applied at very high film thickness and gave limited areas of application. Today most powders are thermosetting, based on either Epoxy and or Polyester resin systems. Powder coatings have been proved to be cost effective and pollution free alternatives to industrial solvent based paints. 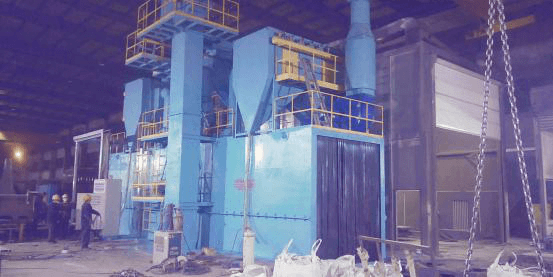 Shot blasting is a method used to clean, strengthen or polish metal, which is a technological process of removing various impurities from different surfaces by using the abrasive. It is an important process of surface protection and also prior-preparation of surfaces prior to further processing, such as welding, coloring, etc. Paint is the most commonly used material to protect steel. Paint systems for steel structures have developed over the years to comply with industrial environmental legislation and in response to demands from bridge and building owners for improved durability performance. 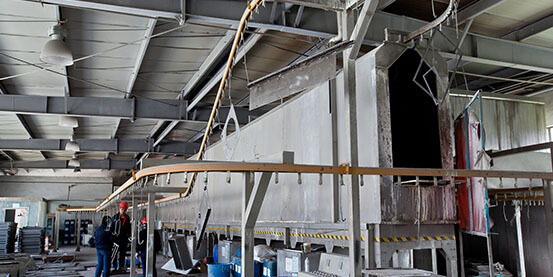 Modern specifications usually comprise a sequential coating application of paints or alternatively paints applied over metal coatings to form a ‘duplex’ coating system. The protective paint systems usually consist of primer, undercoats and finish coats. Commonly, each coating ‘layer’ in any protective system has a specific function, and the different types are applied in a particular sequence of primer followed by intermediate / build coats in the shop, and finally the finish or top coat either in the shop or on site. 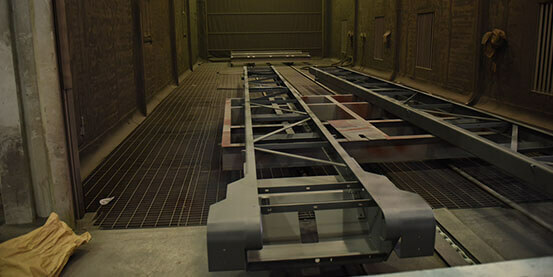 As part of SVEI’s commitment to offering clients full-service product manufacturing, we have updated coating line for handling all industrial painting and blasting jobs. 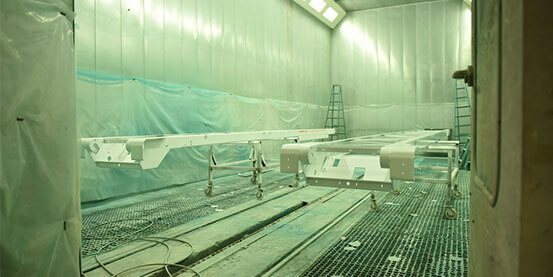 Our paint room allows for advanced airflow management and contamination control, and is complete with various lifts and a bake-on cure feature that bakes on the finish for better paint quality. 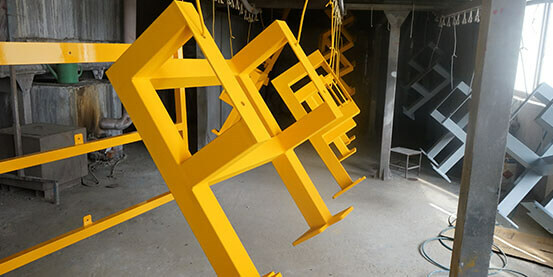 Meeting the needs of a high-production environment, our certified industrial painting, blasting and powder coating services can work with products measuring up to 3.5m×1.2m×1.5m.